That’s why we want every customer that comes into our store to leave feeling an inch taller, a bit happier, and a little more confident than when they arrived. 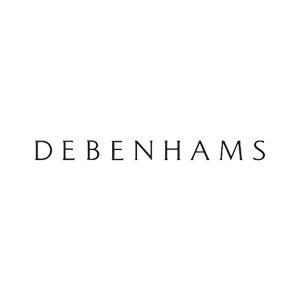 We want to be famous for delivering that unique Debenhams experience. The most important thing you’ll be doing is simple…. Putting the customer at the heart of everything you do! Choosing the right footwear to complete any outfit should be fun and easy – that’s where you come in! From the comfy everyday favourites to something a little more formal you’ll use your passion for footwear and fashion to help customers find the perfect pair. Showcasing our extensive ranges, your knowledge of the latest styles and trends will ensure you can expertly advise customers on casual classics, trainers, boots, brogues and more. You’ll also confidently help customers find the right size and fit to ensure they leave in both comfort and style. Our Advisers take pride in always delivering the best experience making our footwear displays look beautiful and offering friendly service at the tills. You’ll spot every opportunity to help and because you know your stuff, you’ll confidently find a way to fulfil the customer’s every need every time! You’ll put yourself in the customer’s ‘shoes’ every time to create the ultimate retail experience. You’ll combine your passion for the great products we sell with a genuine desire to offer fun and helpful service to every customer. Always ready to help, always happy to go the extra mile and always with a smile. You’ll love playing your part in our team and really enjoy connecting with people to ensure every customer leaves with a lasting impression for all the right reasons. We’ll show you all there is to know about our range of footwear through our instore training when you start. This is a 3 month temporary contract starting at the end of April. We’re open 7 days a week and in this Full Time role you’ll need to be available to work 5 variable days per week including weekends. Our roles can receive high volumes of applications and we may need to occasionally close a vacancy before the published expiry date. We don’t want you to miss out so recommend that you submit your application as soon as possible. Enter your details to be in with the chance of winning a £100 Churchill Square gift card!